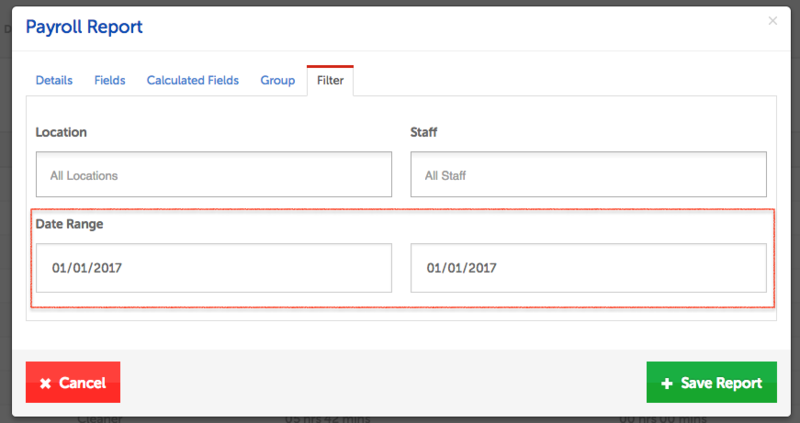 If you've created a report that needs to be run periodically, for example a daily payroll report, it's as simple as editing the report's date range. On the Reports page, click the Edit button of the report you want to run. 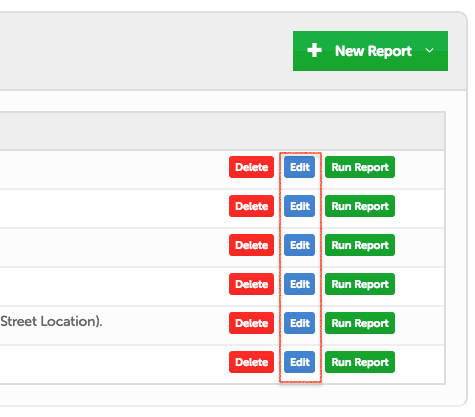 Next, go straight to the Filter tab of the Reports modal. From there, just edit the date range to reflect which day(s) you want to appear in the report. For example, to run a report on yesterday's data, you would input the start and end dates as yesterday's date. Press Save Report to run the report with the new date range.